iseesoft Mac FoneLab is the best and easy-to-use software which can help users recover and backup various datas on Mac from iPhone XS/XS Max/XR/X, iPhone 5, iPhone 4s, iPad Air, ipad mini 2, iPad 4, iPod touch 5, etc. 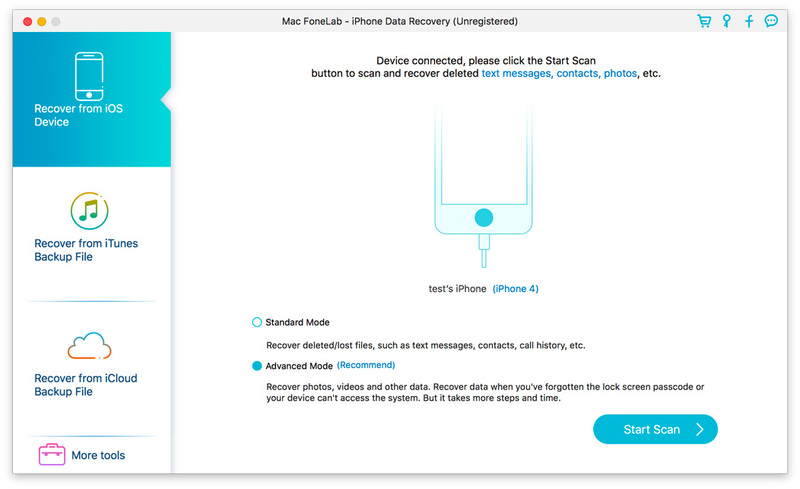 It can also help users recover data from iTunes backup files. Besides, it supports various data such as Contacts, Messages, Call history, Calendar, Notes, Camera Roll, and Photo Stream, etc. Now it newly support iOS 12 and iTunes 12.8.